Hi! Welcome to my first Tuesday Morning Highlighter. I’ll be stepping in for my friend and esteemed colleague Alice Bampton, who will be retiring later this week. Congratulations, Alice! 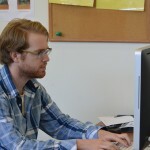 My first order of business is to update you on some of the changes that have occurred at the library over the summer. I don’t mean service changes this time, but actual physical changes that have happened here within the building. Our biggest changes have happened in the Learning Commons on the second floor. 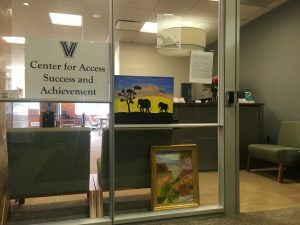 Well, there has only been one minor structural change, but let’s get to the major things first – a big, warm, Falvey welcome to the Center for Access Success and Achievement. You can now find CASA in Room 211 on the second floor of the Falvey Memorial Library. 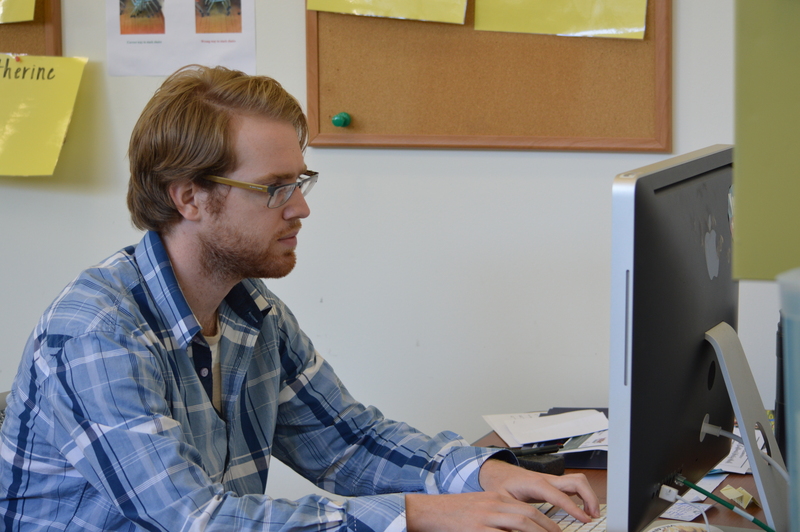 With a stated purpose of aiding “underrepresented, first generation, and Pell Grant eligible students,” this graduate assistant thinks that CASA makes an excellent addition to the Falvey family. Here’s a photo of CASA’s new prime real estate. Here are the minor things to note: Learning and Support Services remains in Room 212, where you can stop by for any learning and study skill resources you may require. The Writing Center is also still in Room 212. Remember, though, Room 212 is not a mechanic’s shop for just your latest assignment; they look to create “better writers, not better texts,” through a “collaborative effort” with students. Now I must point out one small change from the map above. 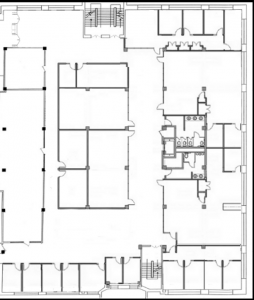 See that tiny space between the stairs at the very top of the map and the entrance to the Dugan Polk Family Reading Room? Well, we’ve built a beautiful conference room and a couple of offices there. Stop by and check them out! 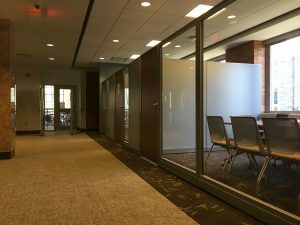 Those new offices by the Dugan Polk Family Reading Room. Office occupants and room numbers TBD.